Jury nullification is a mechanism, and a defense, which allows the jury, as representatives of the community, to disregard both the law and the evidence and acquit defendants who have violated the letter, but not the spirit of the law. Should juries simply follow the law as articulated by the trial judge, or should they act as “conscience of the community,” and neglect the strict requirements of the law when it would lead to unjust or inequitable verdicts? The present study was aimed at providing empirical data for the following question: will the jury operate in a manner which is different than its normal functioning if given explicit nullification instructions? Three nullification instructins varying in explicitness as to nullification were combined with three criminal cases to yield a 3×3 factorial design. Forty-five six-person juries (270 subjects), were randomly assigned to the nine experimental groups. The results showed that juries given explicit nullification instructtions were more likely to vote guilty in a drunk driving case, but less likely to do so in a euthanasia case. The third case, which dealt with murder, did not show any differences due to instructions. 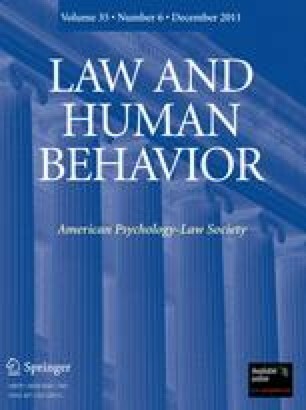 Juries in receipt of nullification instructions spent less deliberation time on the evidence and more on defendant characteristics, attributions, and personal experiences. This research was supported by a grant from the University of Toledo Graduate Research Fund.